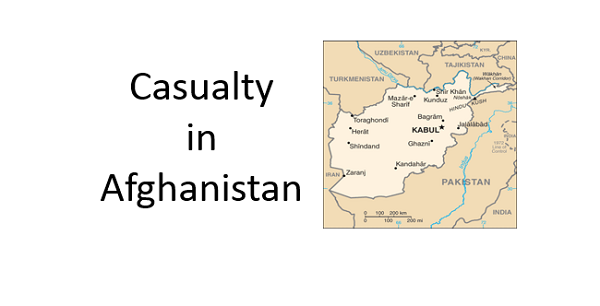 Resolute Support headquarters announced that a U.S. servicemember died in Afghanistan on Tuesday, January 22, 2019. A name has not been released. It is Department of Defense policy that the name of a servicemember killed in action is withheld until 24 hours after notification of next of kin is complete. The RS HQ notice said the servicemember was killed by small arms fire. It is unknown if the death is related to the recent attack of the National Directorate of Security (NDS) training facility for militias supported by the NDS. This attack occurred in Maiden Shar, Wardak province. This is the second American killed in action in Afghanistan in 2019. Sergeant Cameron Meddock died last week in a military hospital in Germany from wounds received in Afghanistan on January 13, 2019. January 22, 2019, “U.S. Service Member Killed in Afghanistan”, Resolute Support.